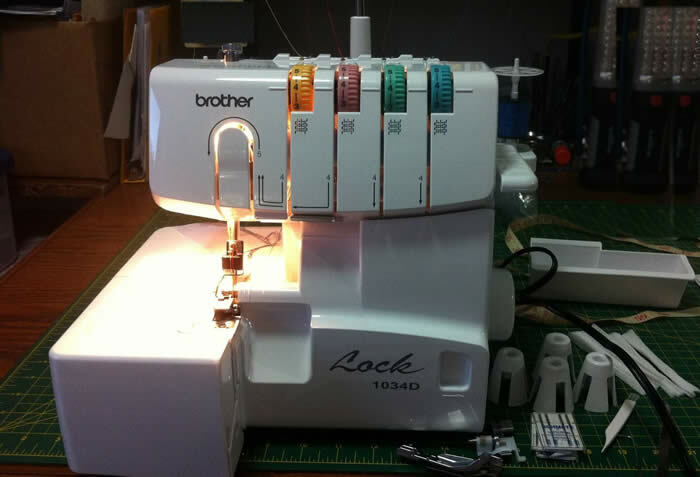 The 1034d model of Brother Serger comes with 4 different colored tension dials on the front, and pre-threaded with 4 small cones of thread that match the color of each dial. If you have a machine (1634d or Designio 1234DZ etc.) that came with solid colored tension dials, you can put a colored dot on each dial corresponding to the Colored Dials on the 1034d - matching your thread colors to each dot. If your serger model came with all 4 cones in white color thread, you can temporarily change the thread cones to match the color dots - just using regular sewing thread for this purpose is fine. 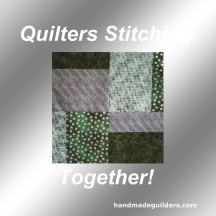 This helps you identify the stitching settings that will need to be adjusted by looking at the stitches and seeing what color dial needs to be moved up or down in number.